Read the book described as ‘one hell of a ride’ and ‘Gossip Girl meets Skins’. Lexi has hit rock bottom. After almost overdosing in a penthouse suite her brother stages an intervention and takes her to the Clarity Centre, an island facility for troubled young people. After a gruelling and painful detox, Lexi enters group therapy and meets her fellow ‘inmates’. Through her therapy sessions and the Clarity Centre’s Ten Steps Programme, Lexi gradually opens up about her fractured childhood, destructive relationships and the dark secret she has been running from. But it’s her new friendships that make Lexi re- evaluate the path she’s on. Stripped of her status, she is free to laugh, dance, share and feel. Forthe first time ever, Lexi has true friends and findsherself powerfully drawn to Brady. But with the demons both Lexi and Brady need to overcome, is a relationship even possible? 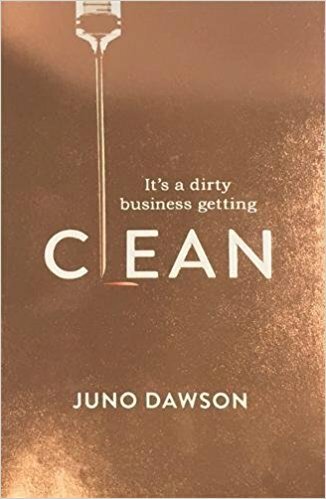 The pitch is ‘Gossip Girl’ meets ‘Girl, Interrupted’ and Clean is just as glossy, provocative and eminently page-turning as that would suggest, bold and incisive with razor-sharp writing. Yes, the language and content will be controversial, but it’s one of the few YA books brave enough to tackle addiction head-on. [An] emotional freight train of a novel... a tale that emphasises the strength in recovery. Pacy, funny and in parts very touching... a rambunctious read about teen addiction, Clean hits the spot. Glamorous without glamorising addiction, and informative without getting preachy, this is a highly readable account of escaping from a self-destructive spiral, with an appealing love story woven in. Mingles pitch-perfect pop-culture references with the layers of lies and self-justification in which the addict’s mind wreathes itself; it’s compulsively readable, hilarious and filled with uncomfortable truths.